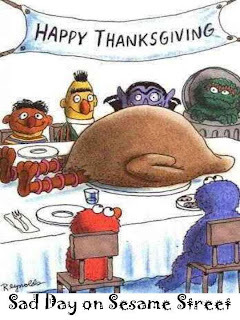 Remember that no matter how your holiday turns out, at least you're not Big Bird. indeed. i will remind myself of this at thanksgiving dinner -- i'm not big bird NOR porky pig!